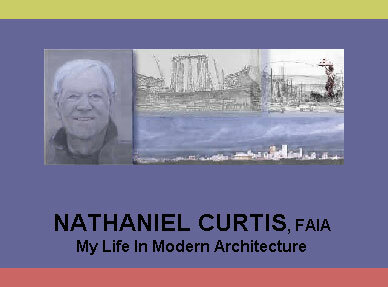 These two books--Nathaniel Curtis, FAIA, My Life In Modern Architecture and The Rivergate (1968 - 1995), Architecture And Politics No Strangers In Pair-A-Dice--present two complementary life stories. One is the autobiographical reflections of a master American architect; the other, the biography of one of his buildings. Nathaniel Cortlandt "Buster" Curtis Jr. (1917-1997) was a New Orleans architect, who with his partner, Arthur Q. Davis, designed a number of important, award-winning, private and public buildings in thirty states and nine countries. The autobiography shows the gentle humor of Curtis and emphasizes his basic architectural tenet that, regardless of style, good design is paramount. 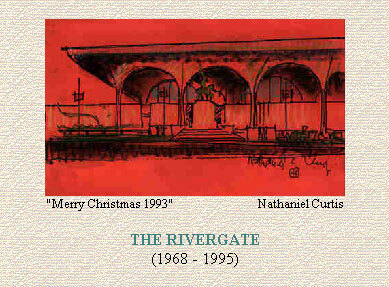 The other book covers the birth and death of the Rivergate, one of his public buildings. Built in 1968 as a symbol of New Orleans' effort to develop a strong convention business, the building died in the onslaught of the 1990s political gambling blitz, which overwhelmed the preservation forces that tried to save the structure. This biography illustrates the difficulties of saving modern architecture. Both works are produced solely in electronic format that allows the narrative to be enhanced with illustrations and audio and video interviews--a more complex production than the traditional lineal book. These books, created and produced by those interested in architectural heritage, provide an educational tool. They are also available on the world wide web: www.curtis.uno.edu and www.rivergate.tulane.edu.